Dr. Parker received the Doctor of Veterinary Medicine (DVM) degree from the Auburn University College of Veterinary Medicine, completed a veterinary pathology residency at the Armed Forces Institute of Pathology, and received a PhD degree in immunology from Rutgers University. He is a diplomate of the American College of Veterinary Pathologists as well as the American Board of Toxicology, and a Fellow of the International Academy of Toxicologic Pathology. He has more than 30 years of experience as a toxicologic pathologist, and has served as study pathologist on several hundred drug and chemical safety studies that were performed in a number of laboratory animal species, most commonly rats. He has published numerous book chapters and peer-reviewed journal articles that have been focused primarily on toxicologic pathology. In his current position of Vice President of Global Pathology at WIL Research, he provides scientific and professional guidance to 20 full-time and 10 consultant pathologists in the U.S. and Europe. 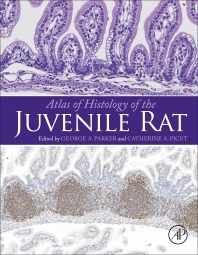 His major scientific interests are in the areas of immunopathology and toxicologic pathology of juvenile animals. Dr. Catherine Picut is a graduate of the University of Pennsylvania School of Veterinary Medicine, completed a residency program in veterinary pathology at Cornell University, and received a law degree from Yale University. She is a diplomate of the American College of Veterinary Pathologists and the American Board of Toxicology as well as a registered patent attorney and quality assurance professional (RQAP-GLP). She has 22 years of experience providing research pathology services on studies involving the safety evaluation of new drugs, biologics, medical devices and chemicals. She has published numerous articles in peer-reviewed scientific journals and has been author or co-author on numerous book chapters. Her special research interests are in reproductive and juvenile toxicology. Currently she is a senior pathologist at the Hillsborough, North Carolina site of WIL Research.